Because somebody has to admire them. Don Coxe on Kathrin M.-H.
Hermann Observer on Marlen L.
Walt Disney (@Franz_von_Papen) on Tina H.
Bernhard Schulte on Gisele B.
Oh God, My Wife Is German on Bild G.
Christian Alexander Tietgen on Dorothee B.
Christian Alexander Tietgen on Stefanie B.
Christian Alexander Tietgen on Julia D.
Why do socialist diets never work? They are always burning other people's calories. Get your FREE COPY at Smashwords! 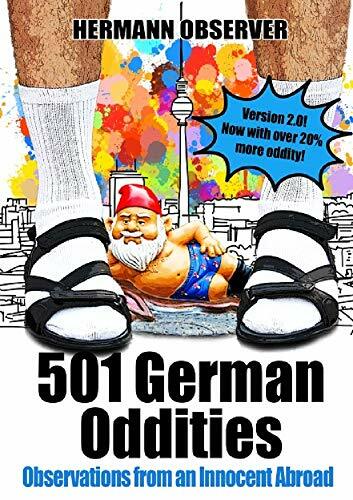 501 German Oddities? No way. Is that all there are? Apple, Barnes & Noble, etc. It doesn't matter. You don’t have to speak a word of German to get a real laugh out of this comic collection of frightful faux pas. Other formats available at Smashwords. Apple, Barnes & Noble, etc. Suchen Sie günstige Übersetzungen ins Englische? Englisch Muttersprachler übersetzen für Sie!